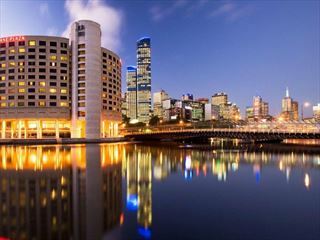 Today you’ll arrive in Melbourne where you’ll meet with your tour guide and group. You’ll enjoy a reception dinner on board the Colonial Tramcar Restaurant. It's a great opportunity to get to know everyone in a unique setting. 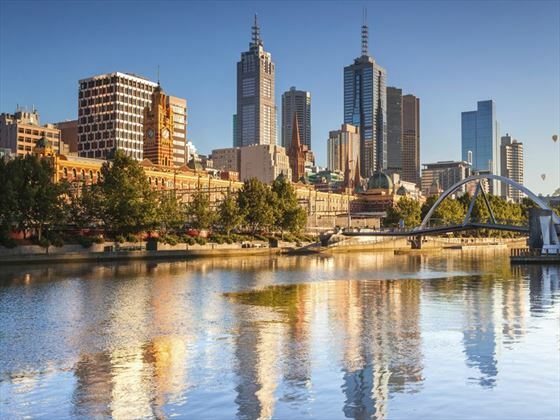 Across days two and three you’ll explore Melbourne firstly taking a walking tour around the main sights of the city before enjoying some free leisure time where you can take it in at your own pace. You can go on optional excursions including a trip to a winery in the Yarra Valley, take a trip along the Great Ocean Road to see the famous Twelve Apostles monoliths or simply relax and experience some of Melbourne's well known food and culture. Today you’ll fly to Alice Springs in the morning. Something of an outpost city for a long time, The Alice (as it’s known to locals) has blossomed into vibrant modern town. 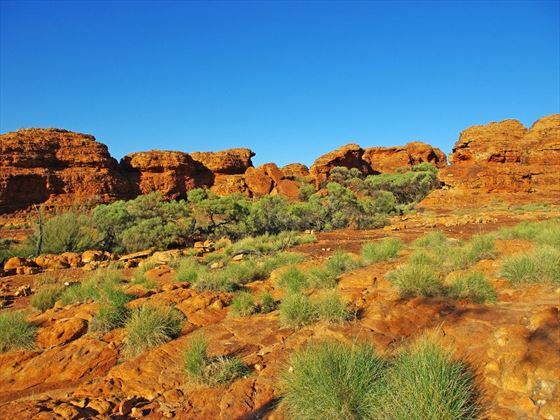 When you arrive you’ll visit the School of the Air, Royal Flying Doctor Service where you’ll learn about medical care is given to people living in the outback. Later you’ll enjoy a special Be My Guest home-cooked barbeque dinner at Earth Sanctuary World Nature Centre. 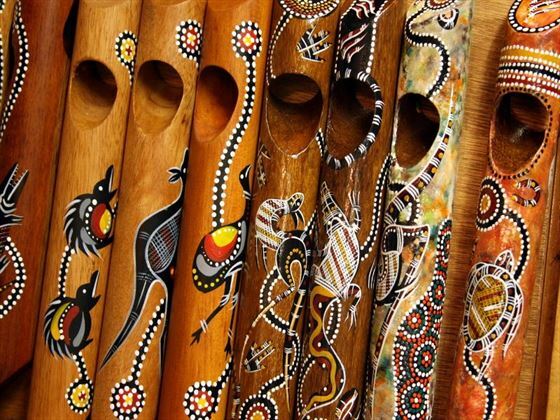 You'll hear about the stories of ecology, culture and astronomy and also about their sustainable lifestyle - you may even get to sing-a-long to the didgeridoo and guitar, an even to remember! 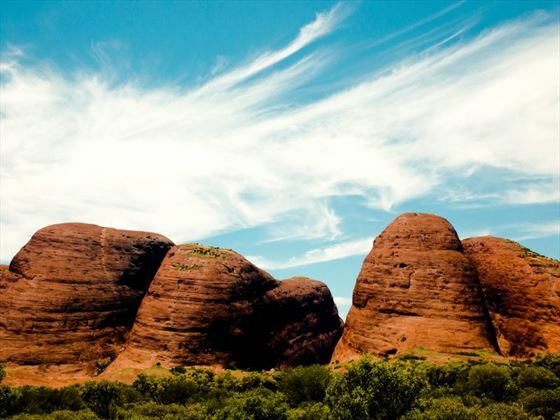 On day five you’ll travel through the Red Centre to reach Ayers Rock Resort, enjoying all the landscape and stopping off in places along the way including the majestic Atila (Mt. Conner). The afternoon is free for you to explore and enjoy the resorts facilities. 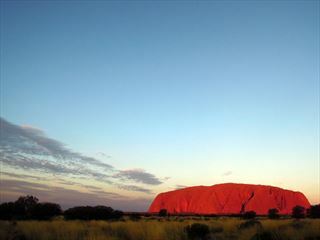 By evening you can enjoy canapés and sparkling wine while you watch the sunset over Uluru – a truly magical sight. On day eight you’ll be heading out on a high-speed catamaran to one of Australia’s most stunning natural attractions, the Great Barrier Reef. Here you can go snorkelling and take in the astounding beauty of the reef from an underwater perspective on your semi-submersible craft. Enjoy a tropical buffet lunch onboard before returning to Cairns in the afternoon and dining in the Dundee restaurant overlooking the waterfront. Day nine is a full free day in Cairns where you can choose from a number of different activities including a train ride into the beautiful nearby countryside - village in a rainforest on the Kuranda Railway and returning on the Skyrail Rainforest Cableway with some spectacular views riding above the canopy of the rainforest. You could also take a day trip to Tjapukai Aboriginal Cultural Park or Hartey's Crocodile Adventures to encounter native animals. On day ten you’ll have free time to perhaps spend some time in the Cairns Wildlife Dome before taking a flight south to Sydney – arguably the country’s most famous city. Here you’ll settle into your hotel with an evening at leisure. Over the next two days you’ll explore the city and surrounds, first with a walk to enjoy the sights of the city, followed by a city sightseeing tour and a lunch cruise on the iconic Sydney Harbour. 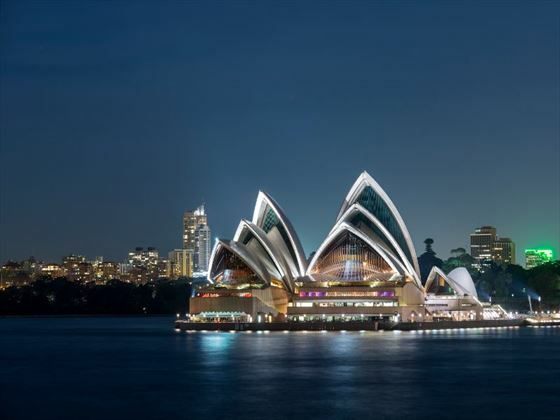 You’ll also enjoy a full day at leisure to explore Sydney on your own terms, there's lots to do and see, your guide will gladly give advice on the best attractions or day trips to take. 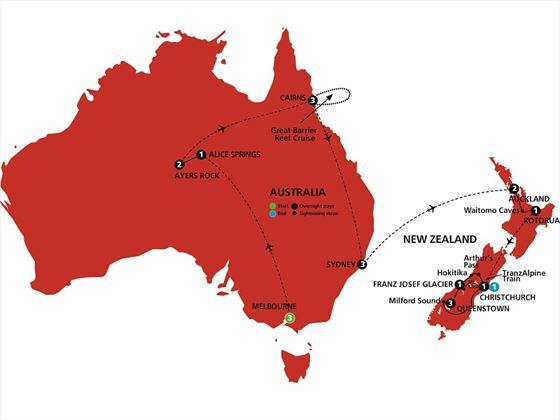 On day 13 you’ll transfer to Sydney Airport for your trip to Auckland. On arrival you’ll be transferred to your hotel and then enjoy a dinner at the Langham restaurant with your new tour guide for New Zealand - you'll enjoy fresh, quality ingredients including mouthwatering seafood and delicious deserts. 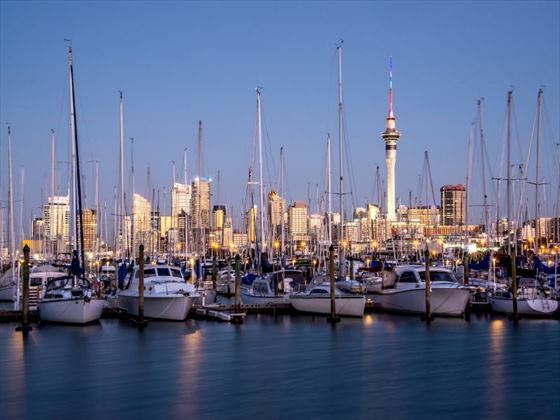 The next day you’ll take a morning sightseeing tour around the city followed by a cruise on Waitemata Harbour. In the afternoon explore at your leisure the sights of the city taking in Bastion Point, the War Memorial and Viaduct Harbour. Today you’ll continue on from Auckland towards Rotorua stopping off for a boat tour through the Waitomo Glow Worm Grotto. 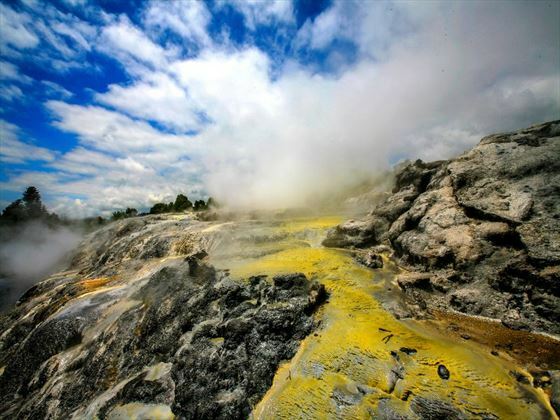 You’ll then arrive in Rotorua where a Moari guide will accompany you to the Te Puia Thermal Reserve. This evening you’ll have the chance to enjoy a traditional Maori Hangi feast and experience the heart-pounding wero (challenge) from a Maori warrior during a Powhiri. 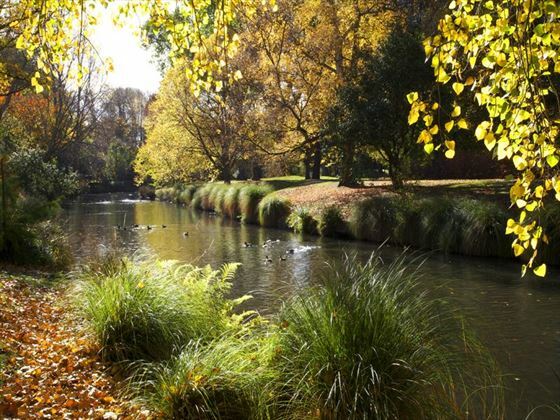 Today you’ll visit the beautiful Rainbow Springs National Park with a local guide - you may even spot a kiwi! Then visit the fantastic Agrodome Sheep Show for some insight into farming life in New Zealand. Later on you’ll fly to Christchurch and check in to your hotel. On day 18 you’ll travel through the rainforest to the stunning Lake Wanaka - visit the historic gold mining village of Arrowtown before arriving into Queenstown for an orientation tour. Have a highlight dinner at the Boatshed with some spectacular views of the mountain range that surrounds Lake Wakatipu. Here you’ll spend three nights with plenty of time to take in the sights and enjoy the best of the adventure capital of the world. 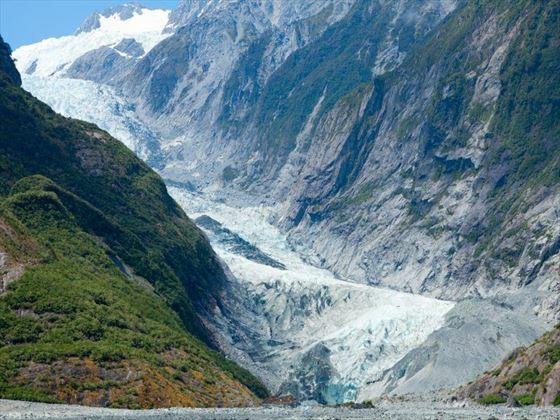 On day 19 you’ll travel from your base in Queenstown to Milford Sound through the rainforests of Fiordland National Park where you’ll take an afternoon cruise and enjoy the true natural wonder – this is definitely one of the highlights of the whole trip. On day 20 you can choose from a range of including activities including a Shotover Jet ride (most thrilling in the world), play a round of golf, take a wine tour in the Valley or a minibus tour through Skippers Canyon, among others.This evening consider taking the gondola ride to Bob's peak for dinner at the Stratosphere restaurant. Today you’ll head back to Christchurch stopping off at Lake Tekapo and visiting Morelea Farm for a special Be My Guest lunch in Angie and Stan Taylor's 240 hectare garden. In the evening you’ll reach Christchurch and have a final celebratory dinner with your tour group.